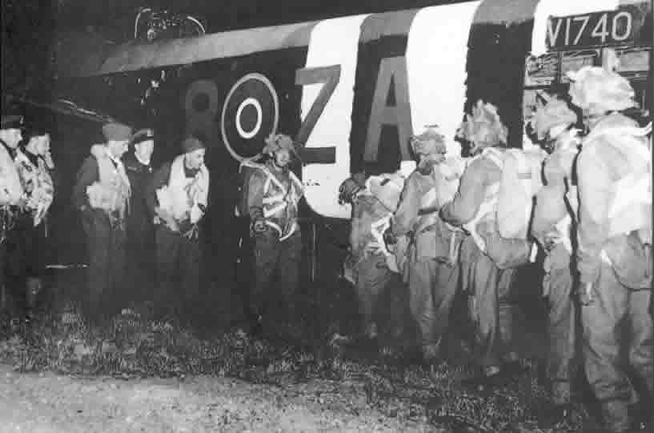 The 6th British Airborne Division, under the command of General Gale, was designated to be parachuted and air-transported in the early hours of 6 June 1944 on the eastern side of the invasion zone. The objective of this deployment is to secure the Allied left flank before the landing on the beaches. Three objectives are then defined: first, the two bridges on the Orne (Bénouville) and the Caen canal (Ranville), which represent the entrance and exit gate of the eatsern flank, must be under control and remain intact. Second, the Merville battery, a potential threat to the Sword Beach landing, must be silenced. Third, five bridges east of the Orne river must be destroyed to disrupt the Germans reinforcements and prevent a major counter-attack from this area. Secondary missions were: to control the region between the Orne and the Dives rivers and to seize the villages of Sallenelles and Franceville, in order to repel any German counter-attack. As Royal Air Force Grouping 38 and 46 were unable to transport all the personnel of the 6th Airborne Division at one time, two separate operations were created: the first, operation Tonga, was intended to carry out the main missions during the night of 5 to 6 June 1944; the second, operation Mallard, aimed at transporting the reinforcements to the combat zones in the early evening on June 6th. 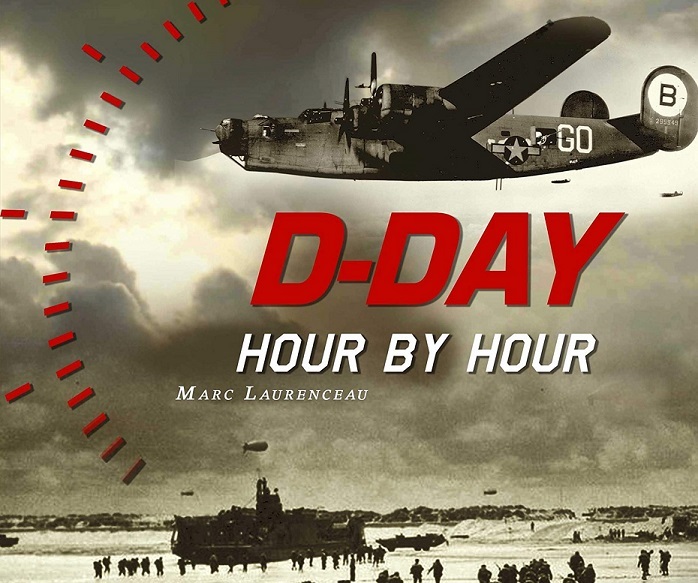 On D-Day, at 00:50 in the morning, the first elements of the 6th Airborne Division were parachuted over Normandy. These were the pathfinders, responsible for marking the drop zones (DZ) for the bulk of paratroopers and gliders that appeared a few minutes later in the Norman sky. Once on the ground, airborne teams headed towards their objectives. Engineers began the destruction of obstacles on the ground to allow an ideal landing of gliders, responsible for transporting heavy weapons and light vehicles. 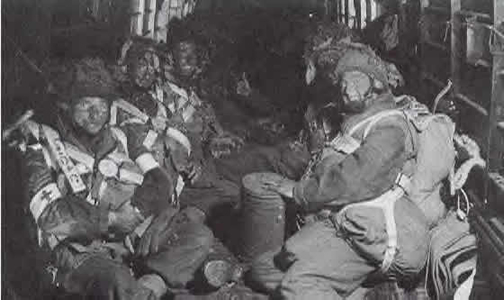 The first British paratroopers were dropped from one o’clock in the morning on June 6, 1944. The crossing of the English Channel did not encounter any major difficulty but the lack of visibility and experience of some pilots caused a large number of missed drops. The British paratroopers were scattered and many of them were lost. Nevertheless, encouraged by excellent officers, they were moving towards their goals. To find out more about the attack on the Bénouville and Ranville bridges (including the famous Pegasus Bridge), click here. Operation Deadstick. The first airborne operation on D-Day took place in the vicinity of the village of Bénouville, 6 km north of Caen. Being one of the elements of Operation Tonga, it was called Operation Deadstick. 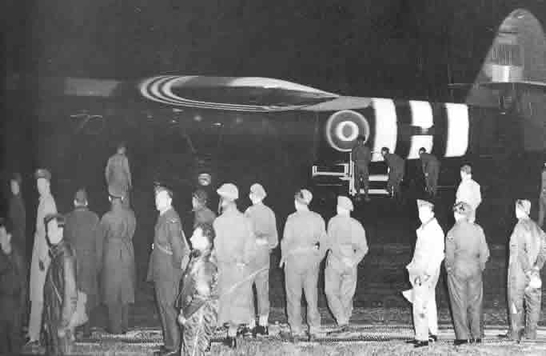 Six gliders carrying British soldiers from the 2nd Airborne Light Infantry Battalion Oxfordshire and Buckinghamshire (Ox & Bucks) landed from 0:16 am near two bridges over the Orne and the Caen Canal. These men seize the bridges with impressive efficiency. To find out more about the attack on the Bénouville and Ranville bridges (including the famous Pegasus Bridge), click here. At around 3:30 am, 72 gliders carrying men and equipment from the 6th Airborne Division began to land in the vicinity of Ranville. Damage was numerous and landings were imprecise, but heavy equipment (vehicles, cannons…) and new personnel reinforced the British paratroopers, isolated in enemy territory. Ranville was the first mainland France village to be liberated on June 6, 1944. This small town was to serve as the headquarters for the 6th Airborne Division led by General Gale, who was also in Normandy. To find out more about the Merville battery assault, click here. 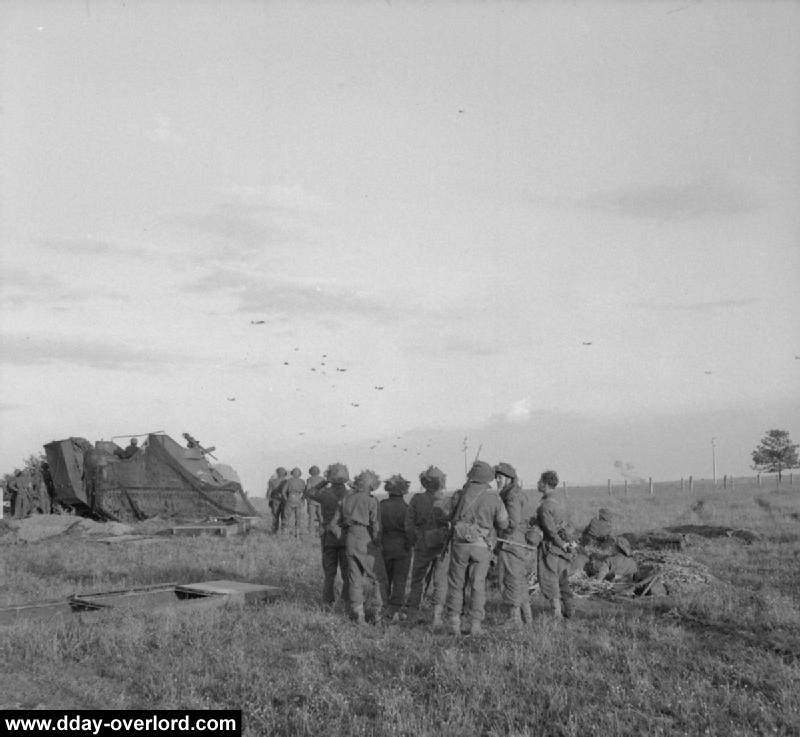 600 British paratroopers belonging to the 9th Brigade of the 6th Airborne Division received an important mission: to seize a German coastal artillery battery south of the town of Merville at three o’clock in the morning on D-Day. According to the Allied intelligence services, this battery could take under its fire the beaches of Sword and Juno. In detail, this information indicates the presence of four casemates protecting formidable guns of 150 mm. This threat to these landing beaches must be suppressed by the action of the 600 paratroopers commanded by Lieutenant-Colonel Terence Otway. But airborne operations went badly: Otway was able to regroup only 150 parachutists, the others having been lost in the marshes. He even launched his attack at 4:30 and stormed the battery despite very heavy losses. 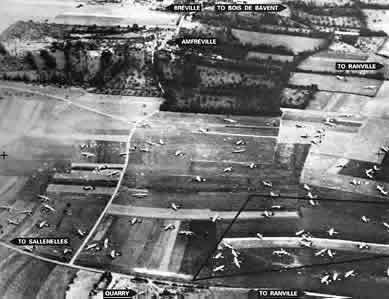 To find out more about the Merville battery attack, click here. Five bridges between Varaville and Troarn on the eastern side of the Orne river have to be destroyed at about two o’clock in the morning. These destructions help protecting the eastern flank of the allied invasion from any German counter-attacks that would follow Operation Overlord. Four of the five bridges were destroyed shortly after the landing of the paratroopers involved in these missions. But once again, airborne operations did not unfold like training. Major Tim Roseveare, in charge of blowing up the Troarn bridge, realized that the village was held by elements of the heavily armed 21. Panzerdivision. Far from abandoning the case, he developed a bold raid with the help of a Jeep and his trailer in which he carried 900 kilos of explosives, 45 detonators, a lieutenant and seven sappers. Crossing the main street of Troarn at full speed under heavy fire, which could trigger the detonators at any time, they reached the bridge and immediately went working. Five minutes later, they blew up the explosives which dug a large hole in the middle of the bridge, without destroying it entirely. At the moment of extraction, sapper Peachey felt from the trailer and was made prisoner by the Germans. The launch of the second wave of the 6th Airborne Division took place in the early evening of 6 June 1944, as part of Operation Mallard. 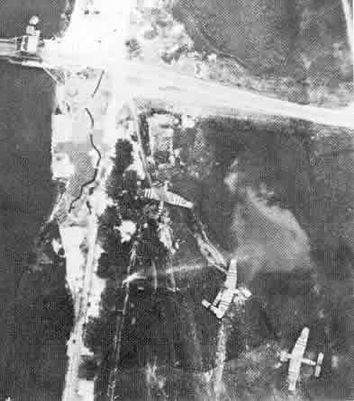 223 Horsa gliders landed on DZ “W” south of Ouistreham and DZ “N” east of Ranville from 9 pm to bring reinforcements in men and equipment. Elements of the 6th airborne brigade (Airlanding Brigade), company A of 12th Devons and company D of the 2nd Ox & Bucks landed on DZ “W”. The staff of the 6th Airborne Brigade, the 1st Royal Hulster Regiment Battalion and the RAC Reconnaissance Regiment with its 30 Hamilcar gliders carrying Tetrarch light tanks landed on DZ “N”. Operation Mallard was launched at the same time as the Germans counter-attacked in the direction of Sword with the Panzer Division of Major Hans von Luck. Visible to all, this airborne action reinforced Allied soldiers in this area after a first day of fighting. Conversely, it forced the Germans to stop their counter-attack and to retreat to the south. 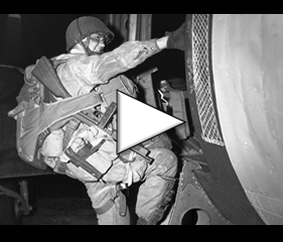 Most of the initial objectives were reached by the elements of the 6th Airborne Division. On the evening of June 6, 1944, this division was fully deployed, except for units transported by sea. The 5th Brigade was holding Le Bas de Ranville (13th Battalion), Ranville (12th Battalion) and DZ “N” (7th Battalion). The 3rd brigade was along a front of more than five kilometers between Bois de Bavent in the south (8th battalion), Le Mesnil (1st Canadian battalion) and Le Plein in the north (9th battalion). The 1st Special Service Brigade was located at Le Plein, Le Hauger and Amfreville. Lieutenant-Colonel Bradbrooke, commanding English and Canadian paratroopers (himself under command of General Gale), was proud of his men who, despite encountered difficulties (such as missile drops, major enemy devices, etc. ), were able to carry out their missions. 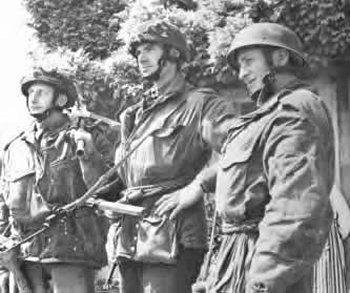 The left flank of the Allied invasion was protected by Commonwealth paratroopers, who were preparing for possible German counter-attacks. They have upgraded their defensive positions against the 21. Panzer Division until the beginning of the operation Paddle on August 17, 1944. 1,166 soldiers of the 6th Airborne Division were killed during the Battle of Normandy. Most of them are buried in the Ranville Military Cemetery.